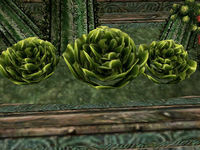 Scrib Cabbage can only be found growing in a few places in Mournhold. 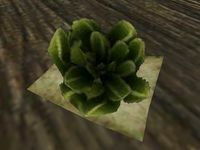 It is not sold by any vendors and not found in any random loot, so these plants are your only source. Harvesting it is often a crime, so be sure there are no witnesses first. This page was last modified on 26 January 2019, at 20:07.